The real beauty of the plan is that, unlike the earlier spending bill, it is not subject to a Democrat filibuster. The $1.3 trillion omnibus spending bill that President Trump signed in March has sparked a small revolt among the Republican faithful. The bill, which the president threatened to veto because it lacked funding for his wall project, was met with widespread derision from conservatives as a surrender to Democrats on government spending. Now, it looks as though there may be a way to fix the situation. Last week, the Wall Street Journal's Kimberly Strassel put forth a proposal that Republicans use the 1974 Impoundment Act. The law allows the president to order the rescission of specific funds as long as the rescission is approved by Congress within 45 days. The real beauty of the plan is that, unlike the earlier spending bill, it is not subject to a Democrat filibuster. Rescission requests only require a simple majority vote. With a 51-vote majority that includes several renegades, this may not be an easy task, but neither is it an insurmountable obstacle. With the clock ticking, some Republicans appear to be taking the idea seriously. 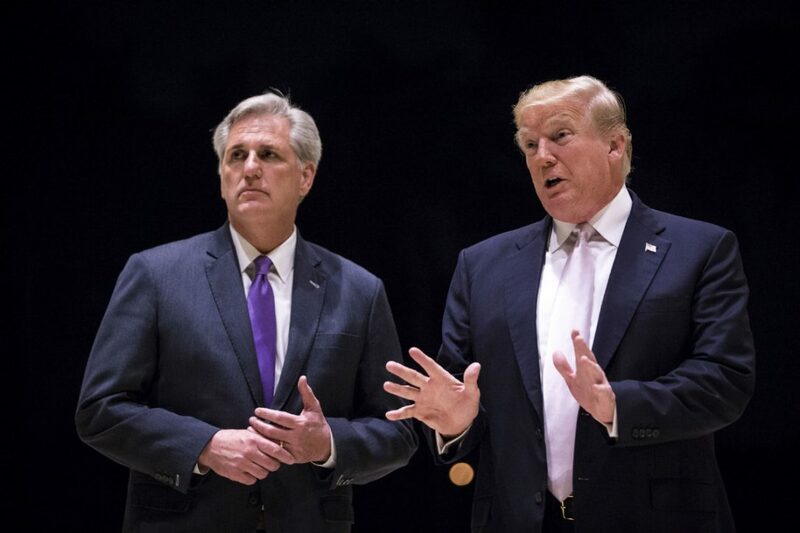 The Washington Post reported that House Majority Leader Kevin McCarthy (R-Calif.) was working with the Trump Administration to implement the plan. The president may send a rescission request to Congress after the spring recess.